I have these half pint Concord grape jam jars that I preserved from our grape vines and thought it would be awesome to give some out to friends. The new All Around Goodies has the perfect sentiment to go with it. I also used the new Just Tags along with the Spring Chicken background stamp and the Scallop and Stitched Circle dies. I am adding this to the Jars of Joy Challenge in the Moxie Fab World.......love using canning jars!! ***SPREAD THE WORD TO THE WORLD ON FACEBOOK about this release & whatever connections you may have! Let us know on "My Creative Time's" FB page here http://www.facebook.com/#!/pages/My-Creative-Time/364568506334 that you did so! OR you can just tag MCT in your post! What a GREAT gift idea!! Loving this new stamp set and your sneak is awesome!! That looks like a perfect tag. Hope it is what I think it is. Your Jam Jars are just too cute. 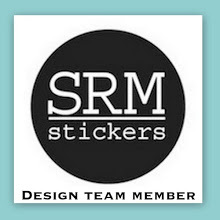 Love how you incorporated the Spring Chicken background stamp. What a great gift idea. Thanks for sharing. Beautiful, Amy! 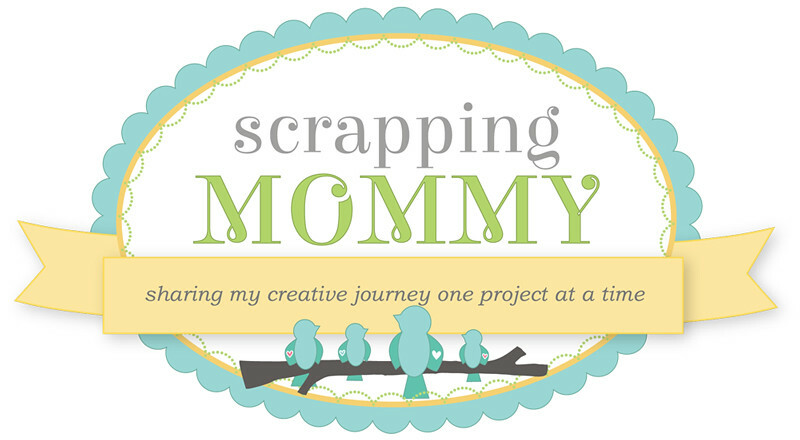 I love how you used the chicken wire stamp on your background! So pretty! What a fabulous gift to give and receive. No matter the gift, I love homemade ones the best! I wish I would have listened more when my Grandmother tried to teach us girls to can. Have a great day! Love the colors and love the use of burlap - these look so yummy! Amy ~ these are just PERFECT! I LOVE the burlap top ~ the inking and stamping of those tags! OMG ~ the twine is PERFECTLY matched too! Oh the lace trim looks so BEAUTIFUL! Why does this NOT surprise me you have grape vines ( I WOULD love to have them) and you jar! BEAUTIFULLY done! Very cute canning jars. I love the little canning jars too - well all canning jars really. Someday I hope to start canning. Great idea on using the chicken wire background. Mmmmmmmmm, sounds yummy. Love the burlap. What a cute way to present a gift. Your jelly jars look so cute all dressed up and ready to be given out! Looks like this new stamp set is going to be fabulous, can't wait for tomorrow! Perfectly adorable use of the chicken wire background...and burlap!!!! What a fab sneak, Amy. Such special touches on these yummy gifts! Super Cute and Yummy too!TFS!Love this idea! Super cute!! Love how you popped the little jar image up!! 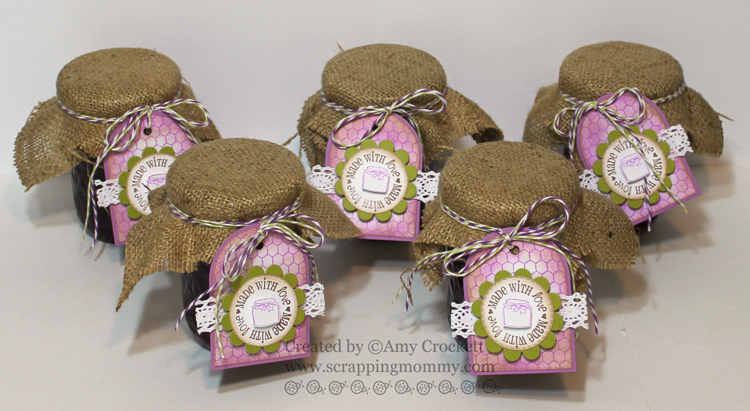 Your jelly jars look amazing!Love the added crochet to the fun tags. Wonderful gifts. Love the colors of the tags! So cute! Love the colors you used. I love the idea of your Jelly Jars, and the color palette is perfect! TFS!!! awesome job i love your grape jelly jars!!! I love this it is so super cute!! Very cute--I like the burlap and the lace. adorable! I first thought of babyfood when I saw this jar stamp! what a great idea for a new mom, basket of baby food! I can't wait to see the entire release! I love this set and your jelly looks awesome! 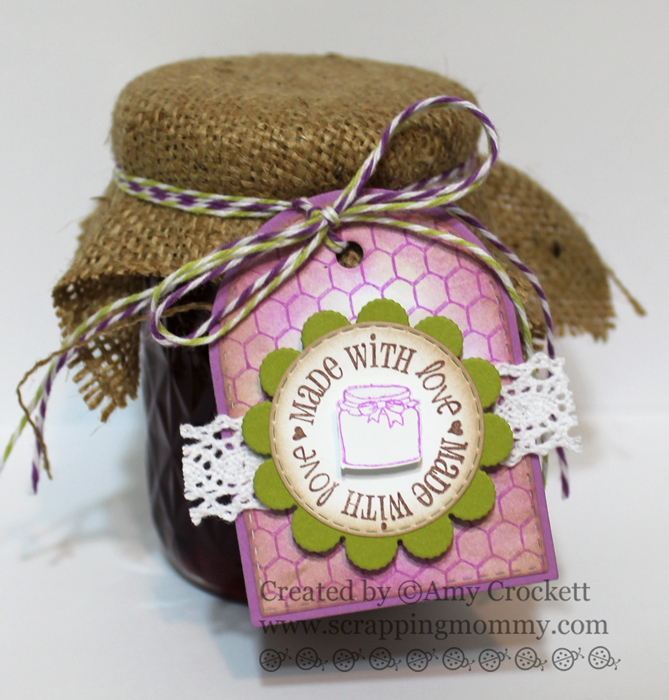 Super cute canning jars, love the stitched circle/scallop die layered on the new tag. Super cute...I love the purple and green. Your tag looks grape! I love the chicken wire background, your sweet sentiment and your colors! TFS! oh I love this! and the colors!! great job! This is too cute. Love the background stamp I am going to have to put that one on my wish list. oh I wish I was on the list to get one of those! these are darling! How amazing gift, to share with other something that we made with love. Delicious gift, I want one, haha Thanks for share with us!! Yum that grape jam sounds delish. Great presentation. The round sentiment is perfect and I love burlap and lace. Beautiful color combination. The jam sounds really good too. Thanks for sharing. Cute and yummy. Gotta love it. Great work on your treat. Love the tag. The colors are beautiful ! I bet you make a great jam...I just planted 3 kinds of grapes and 3 different blueberry plants. Summer aftr next I should have a good crop. Your jars look wonderful with some old and the new releases. Love the all arounds and the circle dies. Beautiful tags for your jam jars! Looks yummy! I took make jam/jelly for gifts. Your tags are perfect! These are so cute! Love them. My grandmother makes jam, I could make her some cute tags to put on it! TFS. Those came out sooo cute!!! :) I love the hearts on that All Around Goodies sentiment! What a lovely gift anytime of the year. Good luck on your contest entry. 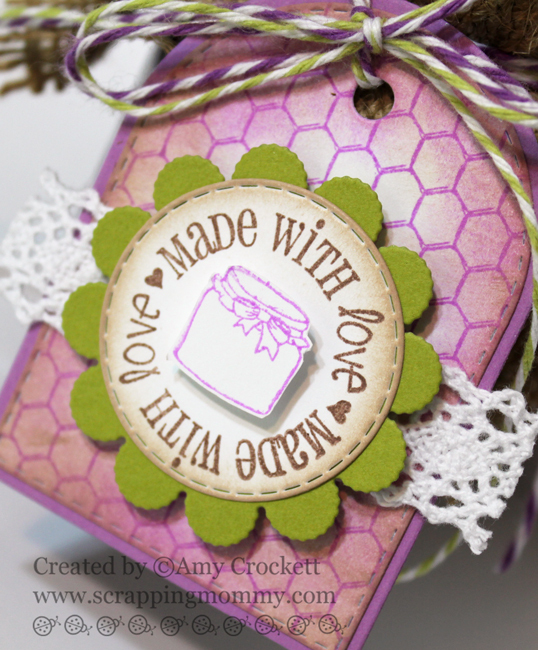 I love the new die and the chicken wire stamp for the background is perfect! This stamp release is a must have for the holidays. I don't know which is more adorable...the jars or the tags! Not to mention, I'm sure the jam is delectable! Such cute use of the jars! Great idea. 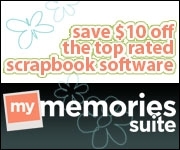 What a super idea - easy fast gifts to give away..I love it! YUM!! These little jars are so CUTE!! Your friends are gonna love them!